I would really love to visit Bradford Media Museum as it sounds fantastic and really relevant to the things I am interested in. Unfortunately I only found out about it recently so have not had enough time to spend a day there but hopefully I will soon. 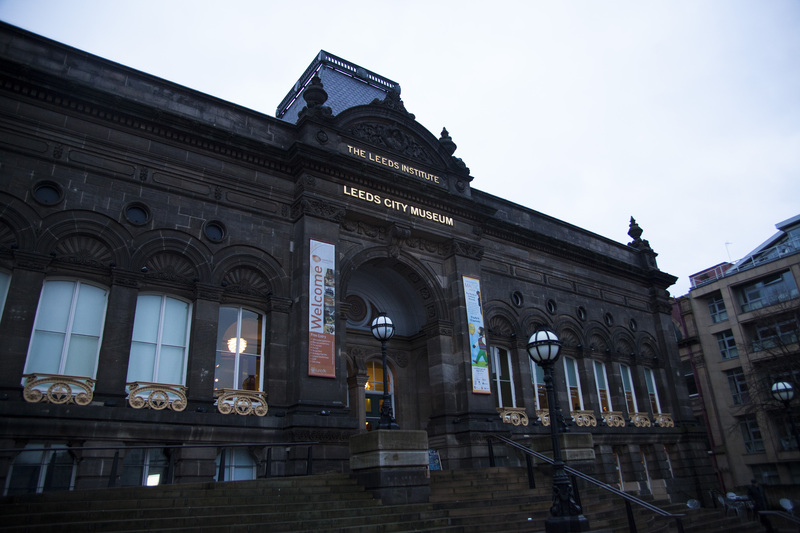 Instead, for this task I visited Leeds Museum, which is a really good museum and I enjoy visiting it. It is so vast it covers lots of different time periods, I always enjoy looking at the floor that focuses on Leeds history alone. What I found most interesting this time was looking through the WWI records, I typed in my family name East, with the initial G as my grandad was called George, I think it is a name passed through generations and I found a G, East who was in the Lincolnshire regiment which is where I am from, I was quite shocked and took a photo to shot to my dad to see if he new anything about this person or if it is just another East. 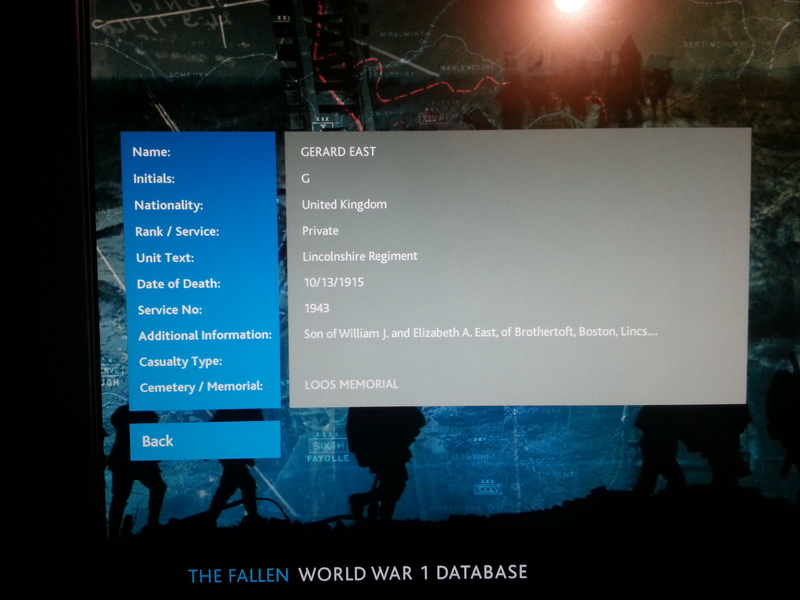 I find it fascinating that anybody can go into the Museum and trace back through what must be millions of records to find individual soldiers lost to WWI, I was really amazed by it and want to try and find out more information about other possible members of my family. Yeah it doesn’t get boring. No problem, thank you.